Oh peas, when life gives you lemons. You can make lemonade. If life is really sour, it apparently teams well with tequila and salt. But lemons can make life pretty sweet with lemon curd and lemon cupcakes (my favourite). A baked lemon tart would be outrageous. But you can also combine it with wonderful things like mint and dill. And feta, and lamb, and peas. Now peas, I don’t even like peas. Maybe I am having an almost quarter life crisis. These combinations I have known about, I’ve delved into them at restaurants but at home, never. On a recent Saturday, I was brunching with some of my favourite Dietitians at the wonderful South Melbourne institution Chez Dre and life was giving me lemons. For those of you that know me, I’m more of the sweet breakfast type. I’m the one that would normally choose the Brioche french toast topped with seasonal fruit, white chocolate crumb, coconut meringue, caramelised macadamias & lime-vanilla chantilly. However, in recent times I have started delving into the savoury scene. Zucchini flowers stuffed with ricotta and goats cheese started that one. Then the smashed avo with fetta at Operator 25 really reinforced it. So I had to have the Chorizo & smashed peas with mint, lemon & parsley, chèvre, poached eggs & toasted sourdough. Chèvre, fyi, is french for goat’s cheese. It was a great decision and the whole peas & feta combination played on my mind for several days. So I went to the supermarket. I filled my basket with punnets of mint and dill, lemons, danish feta and 1kg of frozen peas. Now, you generally don’t need all these quantities you buy so I’ve had quite a delicious week in the kitchen, and lucky for you, I love sharing my kitchen adventures with you. As usual, the quantities are guestimates and you can alter to please your tastebuds. 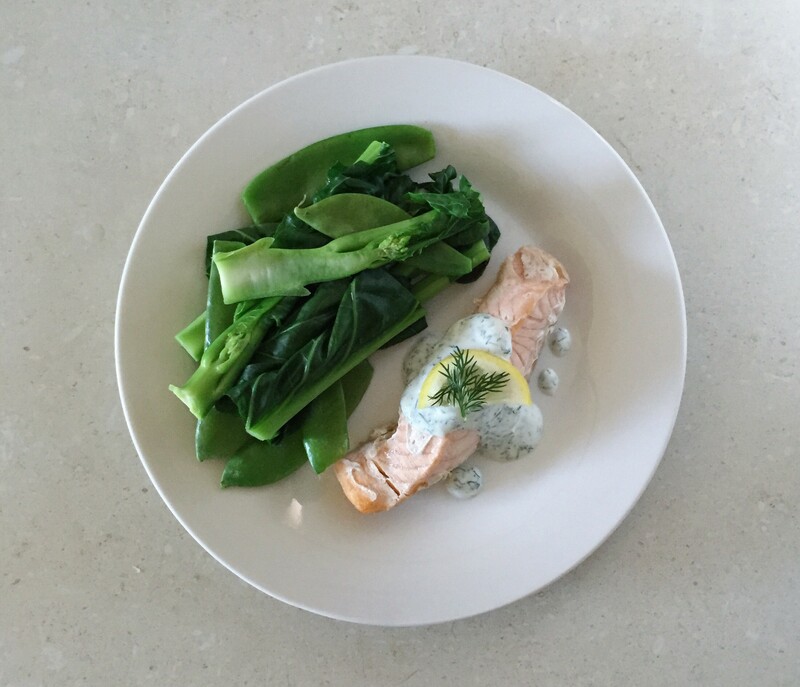 Salmon with lemon & dill. Jess loves dill and is definitely my inspo for finally trying this combination! I suggest cooking the salmon as per the instructions. This was a little freezer number that I just whipped in the oven. The sauce is super simple. Just mix the following in a bowl, and serve with the salmon once its cooked. ~100g peas (I used frozen, and buzzed them in the microwave for a few minutues. Combine all the ingredients in a bowl and serve on a delicious slice of toasted bready goodness. 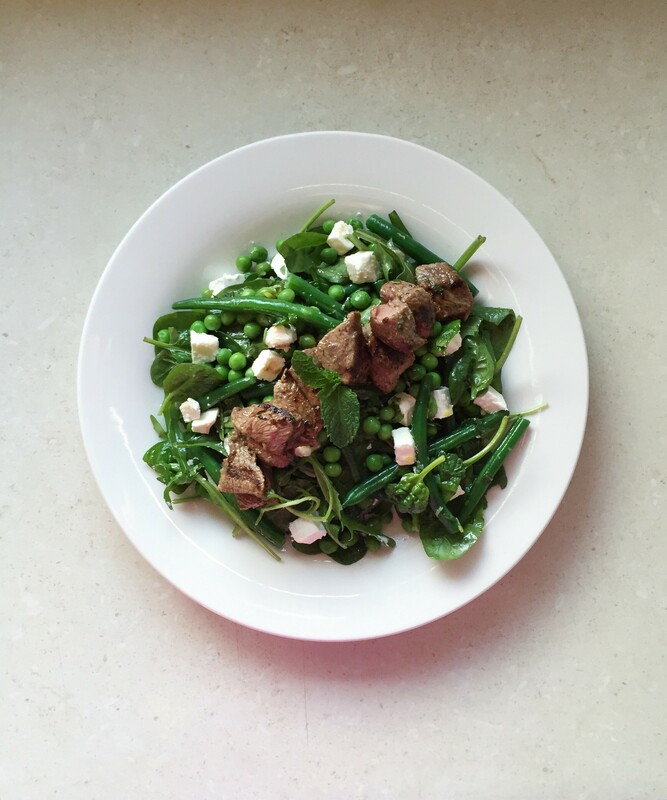 Lamb salad with peas, mint & feta. Drizzle on greens & toss to combine, and then serve with cooked lamb. 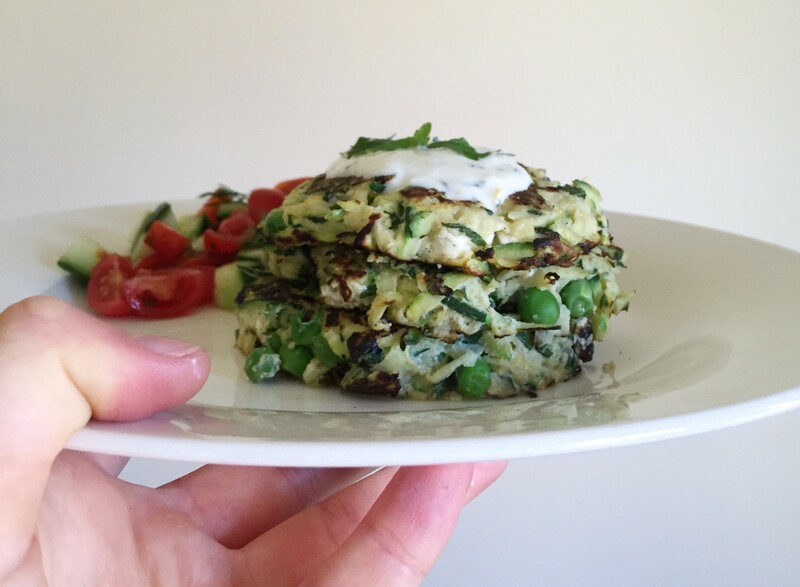 Zucchini, pea & feta fritters. Recipe adapted from Teresa Cutter – The Healthy Chef. Grate the zucchini, place in colander & sprinkle with sea salt. Let sit while you prepare the rest. 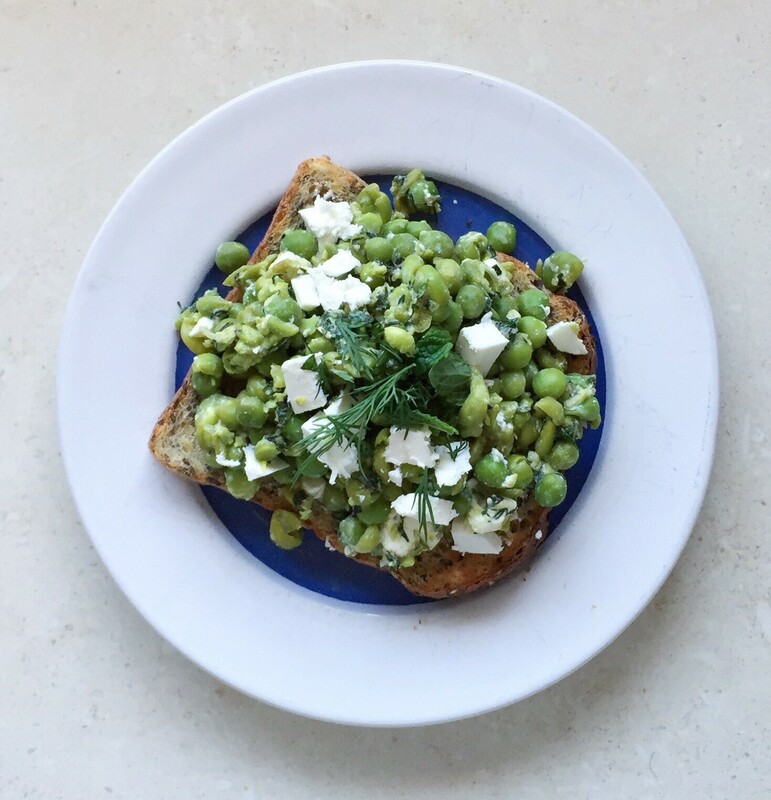 Cook peas and place in a bowl with mint, salt, pepper, lemon, eggs, almond meal and feta. Squeeze excess moisture out of zucchini and add to bowl. Mix well until combined. Spray a pan with your oil of choice and cook fritters over medium heat – approximately 2 minutes each side. I served my fritters with the lemon & dill sauce from earlier, with a quick salsa of cherry toms, cucumber, red cap & evoo. So I think these recipes are mint and I’m very peased to have tried them. 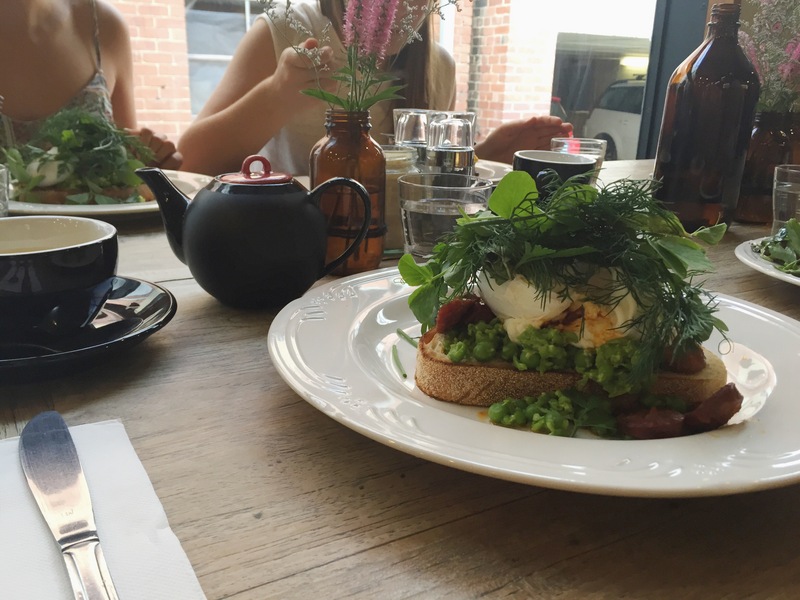 Also, aside from my terrible puns, I’d like to highlight reason 253 to brunch in Melbourne. An opportunity to expand the palate. And well, when life gives you lemons, friends are the best medicine. < Fuelling fabulous this february. YUUUUUUM! And I’m not normally a pea-person! I know, I’m not a pea-person either. Maybe the key to introducing peas to kids is with flavours & feta.